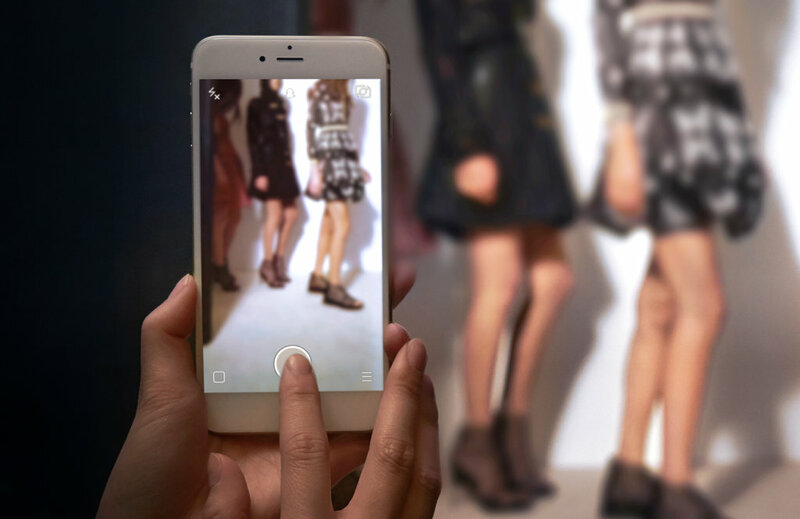 Luxury brands were originally very late to the table when embracing digital platforms. This may be because online, many found it difficult to recreate the bespoke attention offered in your typical Saville Row tailor. However, consumer attitudes and expectations are changing, forcing today’s luxury brands to demonstrate digital innovation and move away from the traditional shop floor. Luxury consumers are increasingly looking for a bespoke experience, whether this means customised products, unique events, or a fully personalised retail experience. Traditionally brands have seen the internet as a cold, depersonalised space where shoppers are seen as no more than a number; to achieve truly bespoke service, brands needed to get shoppers in-store. However, brands are now waking up to the fact that digital means data, and data means an unprecedented level of individualisation. Clever use of this personal data has led to a potential ‘mutative design’ revolution, where websites actively adapt their design, UX, UI and user journey on the fly in response to information about the user. Meanwhile, brands are increasingly using personal data to carefully tailor exactly which products are offered to consumers when. Bentley is one of a number of luxury brands utilising technology to offer a truly bespoke service. Their Bentley Inspirator app uses facial recognition technology to read a customer’s responses to a selection of visual stimuli, helping them to select their perfect Bentley Bentayga SUV. Using technology in this way allows Bentley to customise the retail experience for luxury shoppers in a way not possible through traditional bricks-and-mortar sales techniques. The market for emotion-analysing technology is predicted to rise to $10 billion in the next 5 years, meaning luxury brands need to act fast if they are to emulate Bentley and reap the benefits of this technology above and beyond their competitors. Luxury brands moving into the digital space isn’t just about creating a bespoke, personalised experience. Social media gives luxury brands the opportunity to get in front of millions of consumers with content normally limited to a select few. Last year Burberry used Snapchat and Periscope to give over 100 million people a behind-the-scenes view of their London Fashion Week show and Mario Testino collaboration, and next week they will repeated this approach by giving Twitter users a live view of their London Fashion Week show. By democratisating luxury fashion in this way, Burberry is creating an entire generation of brand advocates while still keeping the products themselves exclusive. As consumers become more and more at home online, luxury brands must continue to innovate. By using personal data, social media, new technologies and a variety of other digital tools, these brands can form better connections with consumers than ever before. Brands cannot ignore the opportunities available to them online: the luxury sector is no exception.